The most popular places of tourism in the Sverdlovsk region - Ural mountains. The Hiking in the fresh air can relax in the natural parks. In some older cities of the Urals can admire the architectural attractions. Explore the natural attractions of the Sverdlovsk region. In their region a lot. 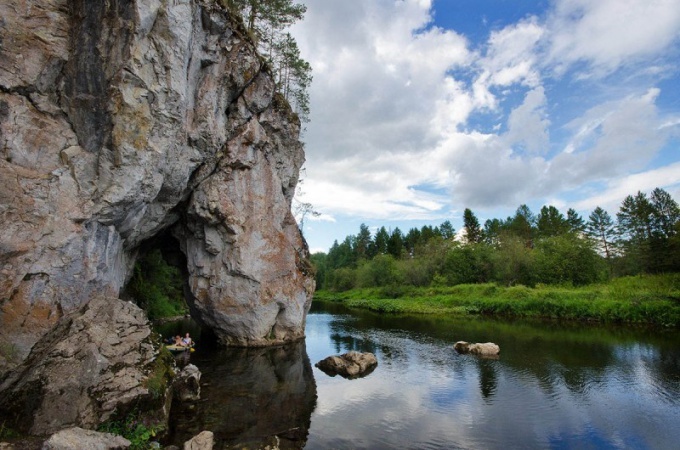 Near Yekaterinburg are beautiful rocks of Peter Gronsky and Chertovo Gorodishe. Alongside these objects are the lake isetskoe and sandy. Lovers offers tourist routes you can go to natural Park "Deer streams". Near Novouralsk are the Rock 7 brothers and lake Belousovo. Fans of rivers and lakes can go on the threshold of a Howler, to the waterfall of the Chateau or lake Kurtulus. Someone may seem interesting trip to the lake Talkov Stone. Fans of mountain tourism will be of interest to konzhakovsky Stone mountain. You might want to visit Azov-mountain, which was mentioned in the tales of Bazhov. The most fearless can go to the Dyatlov Pass Otorten to visit and Enigmatical. Visit the historical sights of the area. The city has numerous buildings of cultural heritage of the Russian Federation. The experience of Nevyansk leaning tower and the temples in Verkhoturye. Secrets stores and Alapayevsk ground. Lovers of history and architecture have a lot to discover in Yekaterinburg. There are small areas with old buildings in Kamensk-Uralsky, Nizhny Tagil, Polevskoy. Enjoy winter resorts in the region. Sverdlovsk oblast is located in the heart of the Ural mountains. It is logical to assume that the region will have ski resorts. The most popular places for snowboarders and skiers – mountain Uktus and Volchikha, White and Tight. You can go a little North and ride on the slopes of mount Kachkanar. Lovers of cross-country skiing can overcome a variety of routes – from the station to the Top station of the ayat'. Can run on the surface of the Iset lake, or walk to Alchevskogo of the pond. It will be interesting urbantrip in a tunnel near the village of Didin.